Now we know that the complaints were valid. On March 12, the Humane Society concluded what it called a “reconciliation process” that was designed to understand what went wrong and strengthen the organization for the future. Hmm. Saying that the board “struggled to find its way through the situation” is like saying that the Titanic struggled to find its way to port. Here’s what happened: Last January, the HSUS board abruptly terminated an outside investigation into Pacelle’s conduct when it became public. The board then stood by the CEO and dissed his accusers, until pressures from staff and donors forced him out. 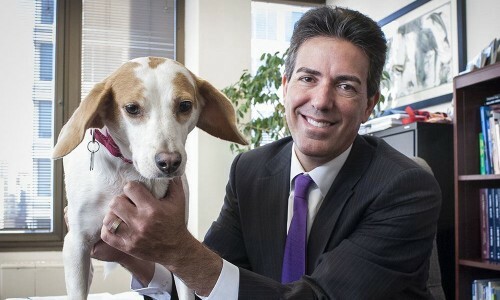 (See Times Up: Wayne Pacelle is out as CEO of the Humane Society.) What’s more, the board evidently either tolerated the workplace problems at HSUS for years, or was unaware of them. Yet, as the reconciliation process concludes, no one on the board is being held accountable. The board chair, Eric “Rick” Bernthal, and two other members of the board executive committee who backed Pacelle, Chuck Laue and Jason Weiss, all continue to serve. One striking feature of the letter from the board and a similar letter from Kitty Block, the Humane Society’s new CEO, is that they don’t mention any names — not Pacelle, not Bernthal, not any of the men who have been accused of wrongdoing in the press or on Facebook. The result is, there’s no more clarity today about who did what to whom than there was a year ago, although enough of Pacelle’s accusers have gone public — with the Washington Post, The New York Times and with me — so that it’s clear that he abused his power. The scope of the workplace problems: About 120 people came forward voluntarily to talk Kate Kimpel. That’s a lot of people! So many that Kimpel had to extend the deadline for completing her inquiry a couple of times. That tells me that the workplace problems at HSUS go well beyond a misstep or two by Pacelle. It also reminded me that the writer Matthew Scully had sought to dismiss the #metoo charges against his pal Pacelle by writing that “endless awkward moments are possible between men and women in social or professional situations.” Well sure they are, but this was a lot worse than that. Paul Shapiro’s conduct: An influential figure in the animal welfare movement, Shapiro left HSUS last year after writing a book about plant-based alternatives to meat. He’s now CEO and cofounder of The Better Meat Co. Some women are displeased because, they say, he’s never been held accountable for his behavior at HSUS. He apologized last year for what he called “sophomoric and unprofessional behavior” and said he regretted his “thoughtfulness and poor decisions.” It remains unclear what, if anything, he did wrong. Making some top-line findings of the reconciliation study public might have allowed him to clear his name — or not. Accountability. You hear that word a lot at HSUS. Just today on her blog, Block promises that HSUS will hold food companies accountable for they promises they’ve made to phase out cages for pigs and chickens. That’s good. People and companies should be held accountable for their actions. So, though, should nonprofits. 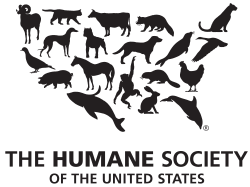 That’s why it’s disappointing that HSUS has so far failed to hold its board and staff members accountable for the damage they did to women — and to the animal-welfare movement.